Careful study of local geographic environments — including exploring children’s social construction through the space and opportunities afforded to youth as well as children’s agency within those environments — has been an important point of focus for the center since its inception. Stuart Aitken’s ground-breaking manuscript, Putting Children in Their Place, raised these issues for many geographers for the first time. Thomas Herman’s dissertation research subsequently included investigations of neighborhood space and its meaning by children themselves. We continue, in collaborations with children, youth, and other stakeholders, to explore this question: How do neighborhoods work to serve the interests of children, of families with children, and of communities who invest in children. 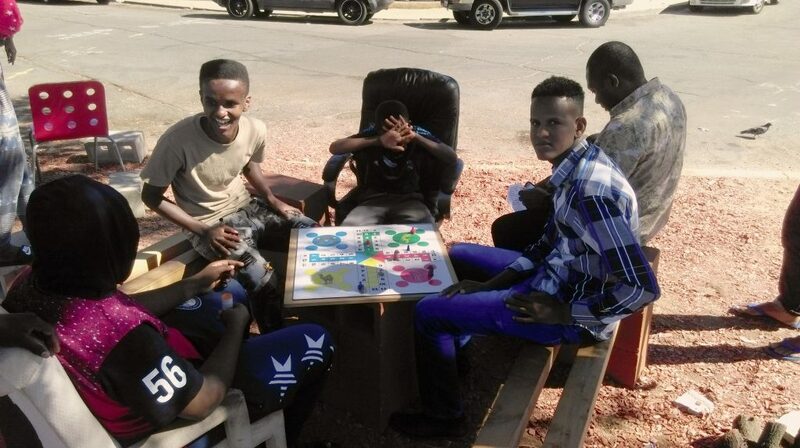 Community members play board games at the corner of University Ave and 50th Street. The purpose of the project was to research and document the neighborhood’s history. 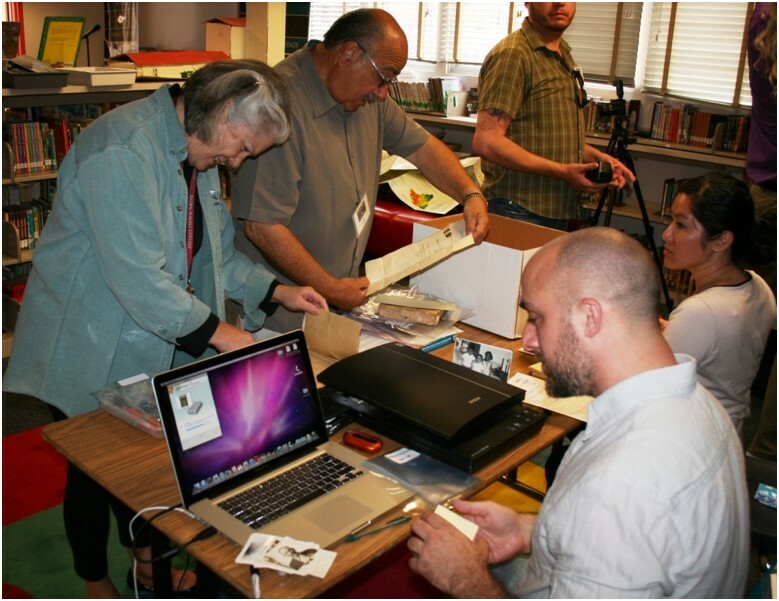 The project included a collection of interviews of people with knowledge of the community’s history, a review of existing books and articles about the neighborhood, an inventory of historic structures and sites in the neighborhood, and identification of historic documents, photos and artifacts that help visitors understand the local history and geography. All of this information was tied together through mapping, with the goal being to use maps to help visitors navigate through the neighborhood and connect with its history through multimedia resources.